lead the field while Raikkonan and I bide our time. One of my favorite tracks saw a LOT of carnage on the last lap as the long straights took their toll on the field. Only half of the cars finished! Which half? For this race I did a turn-by-turn Google Photo Album as I experiment with every conceivable method of reporting these races. This is not too different than how I reported Oyama, but its easier for me to do it in Google Photos and also I planned this from the beginning this time. Also, Google Photos makes it easy to flip through the pics. If you click on the (i) icon in the top right, my notes will appear (I added notes to most of the slides but not all). Lost track of the other races in the series? Check out the page where I link to all the race reports. The final event for the first CFR Organized Play season is coming. Although the biggest news may be that I've made a mid-season change to how the rankings are scored. I've been noticing this year that online races and especially online tournaments have a scoring advantage over in-person races. Online tournaments can more easily accommodate larger numbers of participants and ladder-style series concentrate higher ranked players into the same races, making those races more valuable. I love online tournaments and races. But I don't want in-person to be devalued. So, I'm now adding an in-person bonus to the Average Field Rating to create AFR+. 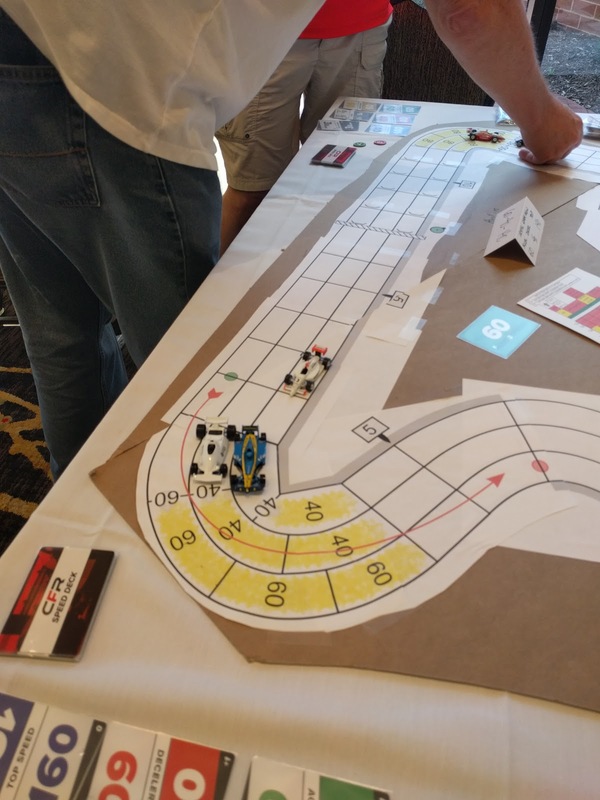 For this season, the in-person bonus is + 0.18 for in-person races and +0.33 for in-person tournaments. How did I come up with those numbers? I measured the difference in field ratings between the best and median in-person and online races and series over the last 2 years. Then I added 0.10 to that difference in favor of in-person. 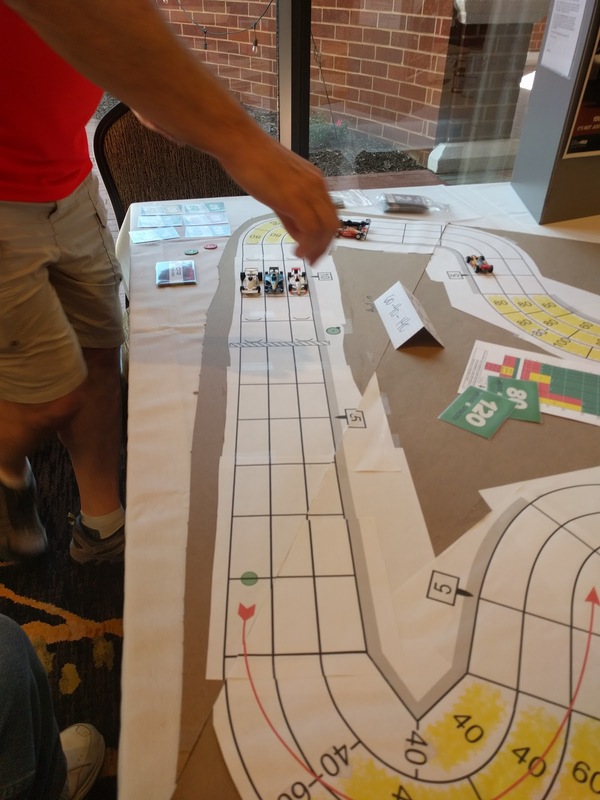 I've added AFR+ to the race and tournament reports -- which have been updated through PrezCon Summer and sorted by AFR+. I've also updated everyone's rankings based on this change plus data from PrezCon Summer. Obviously, this change in scoring will help those who have participated and done well in live races -- mainly the two PrezCons. Don managed to leap-frog over Fabio into 4th as his win at PrezCon Winter was given more weight. Brian DeWitt moved into 7th after winning PrezCon Summer. That said, the three most valuable race wins were online and both online tournaments were worth much more than the two in-person events so far in 2017. And that brings us back to WBC. 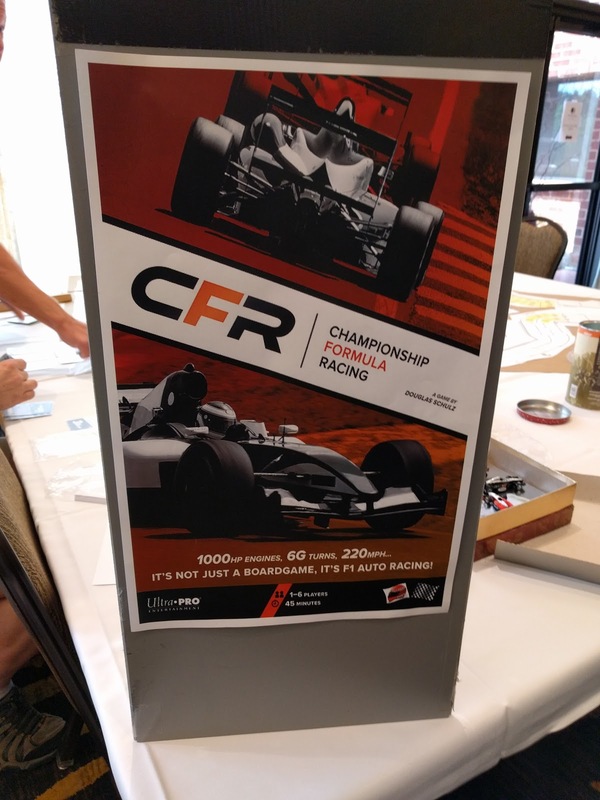 In the past this has been the largest gathering of CFR players in the world every year. And it remains the largest in-person gathering although my online tournament has drawn more participants the last couple of iterations. With the new in-person bonus, ut will be interesting to see what weight WBC ends up with. If WBC pulls in significantly more people than we've seen in past years, anything could happen. But as it stands now, Doug Galullo is still the driver with the best shot to un-seat me atop the CFR Organized Play rankings. 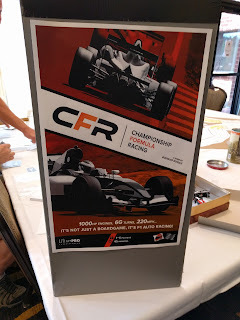 More information about CFR at the World Boardgaming Championships. I finally got around to reading chapter 3 in Games of Strategy by Dixit, Skeath, and Reiley. I've fallen way behind Messrs. Aaron, Austin, and Paul. They recorded their discussion of the chapter and Paul followed up with some written notes as well. 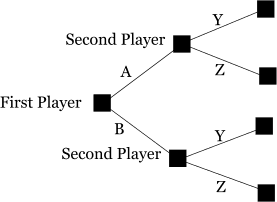 The decision tree is a method put forward by the authors for how to create a strategy for a sequential move game -- a game where each player takes a turn in sequence as opposed to simultaneously. The four boxes on the right side are the 4 possible end results of this two-turn game. From here, you can analyze the value of each of those 4 results, then predict the 2nd player's best actions after either A or B, then decide what the first player's best choice is. Multiple sequential turns can be added on and further branch from here to model the entire game. One specific example in the book immediately reminded me of a classic awkward gaming moment. In the example a handful of neighbors decide, in turn, if they will pitch in to fund the upkeep of a common area. Although they all want the area maintained, only a certain number of them have to pitch in to make it happen. After building the decision tree, the game theory "correct" play for the first person is to never fund the upkeep because the other people will. In economics there is a similar concept called the tragedy of the commons. Which describes how in real life no one ends up paying to maintain the common area described in the books example. I think we've all seen this behavior in board games. One player is winning and something must be done to stop that person. But stopping the leader does not help the person doing the stopping -- it only hurts the leader. So no one wants to. Eventually, everyone teams up to stop the leader or one player is forced to do so and this never feels fun. In fact, sometimes it feels so un-fun that no one ends up prevents the leader from winning. Obviously, Tragedies of the Game Commons are something games should strive to avoid. Can decision trees help us designers see them coming? A couple weeks ago 9 drivers showed up in Charlottesville, VA to contest PrezCon Summer's Championship Formula Racing event. Don Tatum ran his first event with aplomb. The two qualifying races featured two older European tracks that I developed recently for the Redscape online series but have never been raced live till now. Race 1 on Friday saw 8 drivers contest Rouen. Brian DeWitt won the race with Don and Jim Fleckenstein rounding out the podium. Tim Mossman finished 4th. Race 2 Saturday morning found 9 drivers at Castellet. Jim won this one with Tim and Brian rounding out the podium and Don finishing 4th. After a lunch break, 7 of the drivers returned for the finals battle. Clearly Jim, Brian, Tim, and Don had established themselves as the class of the field here. 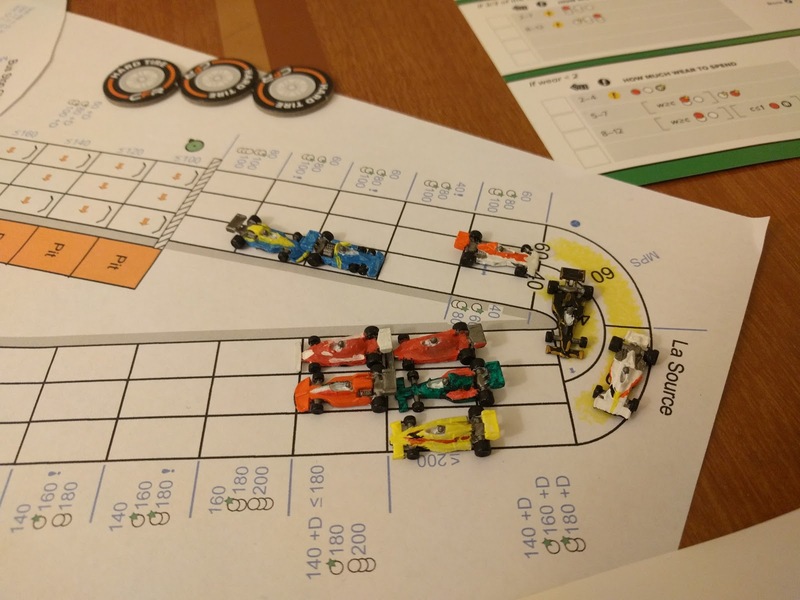 After 3 laps at fan-favorite Austin Jim, Brian, and Tim were 3-wide and prepared for a dash across the finish line -- shown below on the left. Brian won that duel and claimed the tournament plaque. Well, its been complete for a while now but the last of the 4 videos documenting this epic is up on YouTube and all 4 are below. Mexico City is a track that I have clearly just not figured out yet. Although my inability to get off the start line cleanly and my busted decel certainly hampered this race. Stewart lost ground to the competition again though as he used up his wear too early again and fell back into the pack. It was a good race for the Ferrari as Fangio and Vettel both have good races.